Just Give Us A Call & We'll Do it All' Local & Long Distance, International, Professional Packing Service, Reliable Estimates, Licensed & Insured. Call us today! Local company fully insured, specializing in: Moving (Locally or within Western Canada), arranging packing and storage, Truck and Trailer Rental. Free Estimates - Affordable Prices. We are Kelowna's premier moving company offering 1, 3 and 5 tonn trucks, 2 million liabilty insurance and no to/from travel time charge! In business over 38 years! 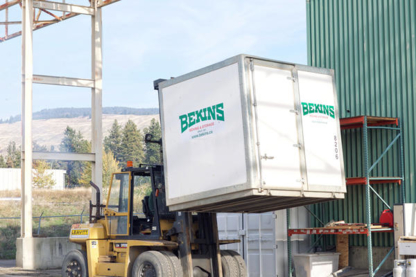 We offer professional moving and storage across the Okanagan Valley, relocating customers to all points west and east in BC., Alberta and the rest of Canada. 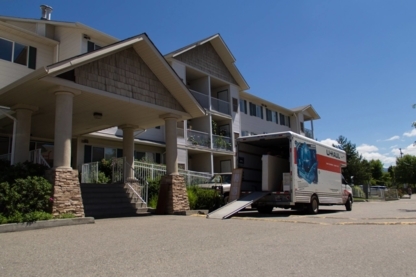 Your Moving Company in Kelowna and Kamloops. Welcome! We are conveniently located 2 blocks off the main highway in North Kelowna. Our first class facility offers the best in security, access and service. Serving the Okaangan for over 25 years with reliable, damage free and worry free moves! 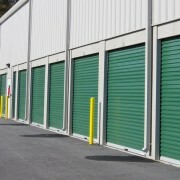 Our indoor storage facility willprotect what is yours until you need it. Make 1st Choice your first choice! Consultez le bureau de l’éthique commerciale si vous avez des doutes une entreprise de déménagement à Kelowna BC. Cela vaut-il la peine d'engager des déménageurs?